Good fences make good neighbors is a proverb that exists in many different cultures and languages and due to its longstanding history and prevalence, it's difficult to pinpoint exactly where this insight originated. In English its common usage seems to have sprung from Robert Frost's use of the phrase in his poem, "Mending Wall," published in 1914. He writes, "Good fences make good neighbors... Why do they make good neighbors?" and ends the poem with "He will not go behind his father's saying, And he likes having thought of it so well, He says again, 'Good fences make good neighbors'." "Mending Wall" is a favorite among literary lovers who enjoy discussing the poem's true meaning. Some believe the narrator of the poem dislikes the wall that divides him from his neighbor. Others think the poem tells the story of a well-established relationship and ritual between two friends and neighbors. Just as the meaning of "Mending Wall"remains debatable, the origin of this proverb is also shrouded in mystery. Wolfgang Mieder, a proverbs scholar and author of Proverbs: A Handbook finds it difficult to attribute this ambiguous saying to one person in particular. His research traces the history of different versions of the proverb to a number of different cultures and languages, including German, Norwegian, Russian, Japanese, and Hindi, as well as English, dating back to the 17th century. In his article, "Good Fences Make Good Neighbours: History and Significance of an Ambiguous Proverb," Mieder also delves deeper into the interesting complexity this simple line possesses and quotes from Caroline Westerhoff's book Good Fences: The Boundaries of Hospitality, "[The proverb] contains the irresolvable tension between boundary and hospitality." How can neighbors come together if they are divided by fences? The introduction to Mieder's article reads, "A glance into any proverb collection reveals their contradictory nature: 'Absence makes the heart grow fonder,' but, 'Out of sight, out of mind.'" He goes on to point out that, "[Proverbs] contain the general observations and experiences of humankind, including life's multifaceted contradiction." And as Caroline Westerhoff stated, there is value in balancing the fine line between welcoming people in and keeping them at an arm's length. Even Benjamin Franklin is known to have said, "Love thy neighbor, yet don't pull down your hedge." Since many cultures have adopted this proverb into their lexicon, it seems to represent a sentiment among neighbors everywhere. Perhaps it gets repeated because it repeatedly applies. We may never know who first uttered this phrase but Robert Frost's poem "Mending Wall," started up a whole new conversation regarding this proverb in the early 20th century. In the poem, two neighbors walk the length of their dividing wall each spring to mend whatever has fallen off. The speaker does not understand the purpose of the fence; however, his neighbor says, "Good fences make good neighbors," twice. The speaker has no alternative but to continue this ritual with his neighbor each year, despite his own belief that mending the wall is a waste of time. So, what do you say? Do fences communicate the same nonverbal signal as a pair of crossed arms? 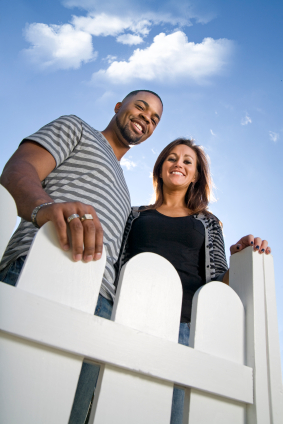 Or, do fences provide a healthy boundary between friends and neighbors, defining a well-balanced relationship? Let's thank Robert Frost for continually pushing our intellects to higher levels and think twice the next time we observe a fence. "Who Said \"Good Fences Make Good Neighbors\"?." YourDictionary, n.d. Web. 26 April 2019. <https://quotes.yourdictionary.com/articles/who-said-good-fences-make-good-neighbors.html>.